Energy Minister Charles Hendry this afternoon chaired a meeting with a range of interested parties to discuss the future of the Coryton refinery. 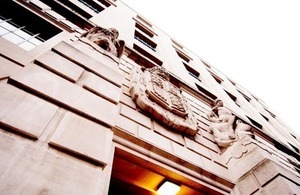 The meeting took place at the Department of Energy and Climate Change in Central London. “We have had a positive meeting this afternoon where the administrator set out what has been done so far and the plan of action to secure the long term future of Coryton refinery. The administrator has worked hard to restore deliveries to customers so quickly and I am greatly encouraged by the overall collaborative approach being taken. “Coryton has strong advantages as a refinery and is an important part of the UK’s refining infrastructure. All those at today’s meeting made clear that they were committed to doing all they can to ensure the future of the refinery.